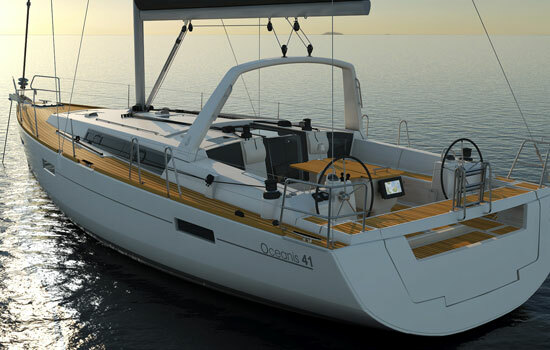 The Oceanis 41 is a roomy 3-cabin / 2-head cruiser designed with the perfect combination of functionality and sophistication for maximum sailing enjoyment. This new model from Beneteau is fun to sail, easy to dock . She has a roomy feel below decks with lots of lovely gleaming wood but with contemporary and modern decor. The galley is fully equipped and has ample counter space. It is a great charter sailboat offering balance under sail and great accommodation below decks. Cockpit Speakers, Cockpit Table, Cockpit Shower, Cabin fans, Radio, CD Player, Linen, Towels, Snorkeling gear... * For full specs, please Click Here.